Predator were a twin guitar heavy metal band. The original lineup with Niall McGreevy & Tommy Whelan on guitars is the one that recorded the famous 1988 demo tape. This demo was solid in the Sound Cellar on Nassau Street in Dublin and in all about 1200 copies were sold. The band signed to a UK/Dutch management company through Kaz Balinsky. 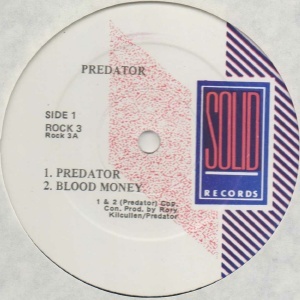 Denis Desmond of Solid Records bought out the bands management contract and signed Predator to Solid Records. This was always with a view to moving them on to EMI or another major label. The band recorded a new demo in 1988 which Solid released as a 12inch EP. This was rush released due to heavy demand from the music industry, in particular from EMI Records, who wished to hear more material from the band before any further contract talk. Solid pressed 800-1200 copies approx. The EP was very well received, and there was some hype and buzz around the band at the time, with plenty of media focus. 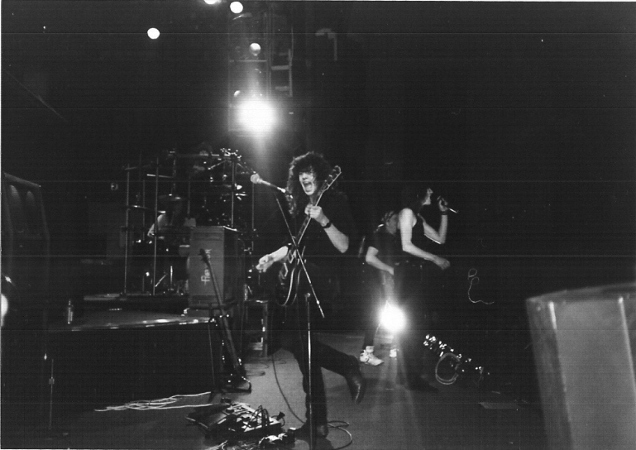 In all the band recorded four separate demos for record company interest. In retrospect it's a pity more of this material wasn't released. Tommy Whelan was let go due to other commitments which left Niall McGreevy was the sole guitar player for a period of about 18 months spanning 1988-90. This included the tours with Anthrax and Queensryche (see below). Jerry Galvin was eventually recruited as second guitarist after Niall saw him with a cover band call Angel. Sean McBride was fired by management and John O'Brian recruited in his place. 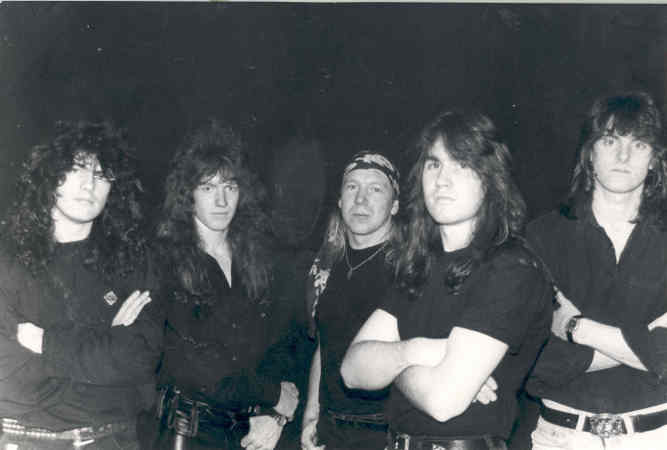 Predator toured with Anthrax on their "State of Euphoria" tour in July 1989 including dates at Omagh, Bangor (Bangor Castle Leisure Centre), and Dublin (Top Hat Dun Laoghaire). This tour is remembered for Anthrax walking off stage because of the spitting (rife in Ireland back then -- sure we'd seen it on TV!). 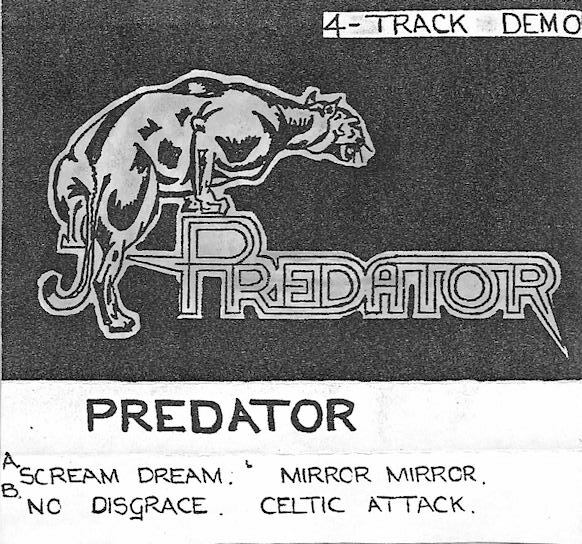 Predator also supported Queensryche on the Irish leg of their "Operation : Livecrime" tour, playing the SFX in Dublin and the Ulster Hall (not the Kings Hall?) in Belfast. Predator were destined for big things but contract problems and other politics prevented this from happening. Niall McGreevy left and Lars Fraser became the singer before the band finally split in 1991. Niall McGreevy pursued a music teaching career, but is now an IT consultant and Irelands demonstrator for Marshall Amplification. There are two live videos on youtube: search for Predator and McGonagles and you'll find them. 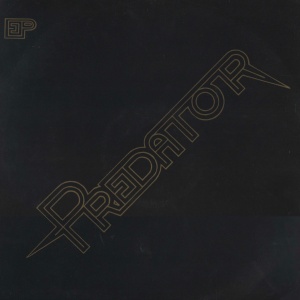 'Predator' was a popular name with the metal hordes: the singles I'd previously listed here ("See You Here" on Quik Records, 1982 and "Dont Stop" on CMT Records, 1985) were both by different UK bands. I know of only one release by the Irish band. The release date may be 1989. The catalogue number is "ROC 3" on the back cover and "ROCK3" om the labels. 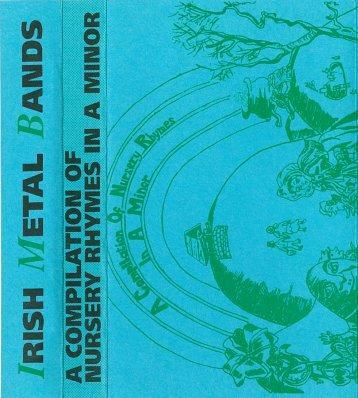 Irish Metal banda compilation compiled by Aidan Walsh and Paddy Harnedy.